Over the summer, I had the privilege of watching the Paarl Derby in South Africa. 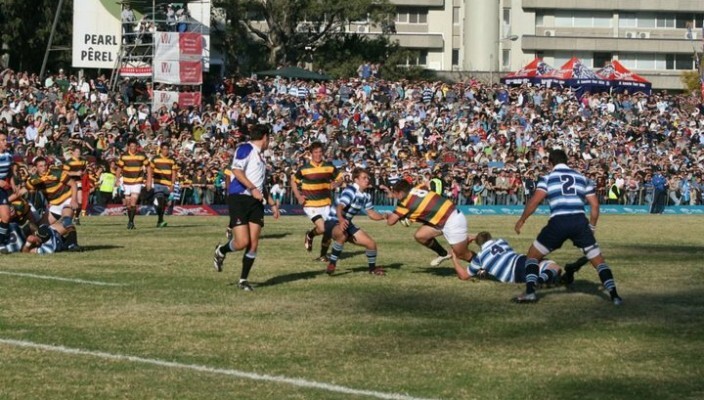 The annual clash takes place between the town’s two high schools – Paarl Gym and Paarl Boys High – and sells out a 25,000-seater stadium. 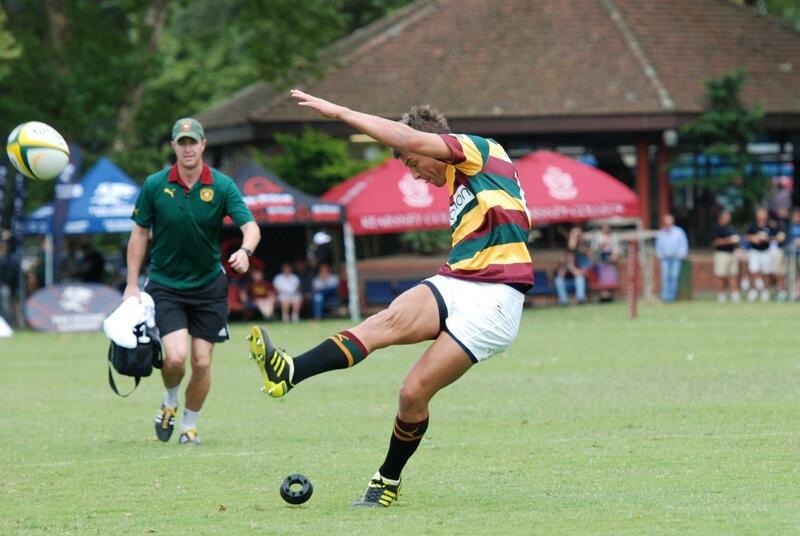 In the past, the schools have contributed to a number of Springbok caps, and recent international alumni include Jean de Villiers, Schalk Burger and Handre Pollard. This year’s match featured four South Africa Schools Internationals, and it’d be a surprise if none of the players became Springboks. Trying to think of a comparable British example proved to be more difficult than I thought – there can be simply no parallels drawn between the Northern Hemisphere schools sporting platform from which talented athletes begin their careers. It isn’t just South Africa which has a passionate school sport system. New Zealand’s quality in this regard was shown off recently with the award-winning Sky documentary ‘Beneath the Black,’ and a video, which went viral, of a schoolboy rugby player sidestepping his way to the try line to the back drop of thousands of screaming fans: pupils, alumni and spectators with no affiliation to either team. Dealing with pressure is something that cannot be taught – some of our most talented athletes fall off the sporting spectrum, unable to cope with the spotlight being shone on their gifts. This is something which few school sports systems get right; though South Africa possesses a working formula. For the whole week leading up to the Paarl derby, the town moves to a standstill as both schools bid for bragging rights. Such pressure and belief from a collection of fans can only help players when they have to deal with this burden under greater duress, as Springbok fly-half, and Paarl Gym alumni Handre Pollard found out. Pollard captained South Africa U20’s, but entered the 2015 World Cup as a relatively unproven international prospect, with the weight of his nation on his shoulders. Though fly-half is not a particularly punishing position physically for young players, it’s often even more demanding than other positions mentally, and South African fly-halves have a history of being unable to cope with the pressure of being their country’s golden boy. Having played in front of large crowds throughout his adolescence, Pollard was able to marshal a sparsely talented South African team to the World Cup semi-finals, with an ability to deal with pressure which belied his 21 years. Such pressure at an early age is rarely solicited on our young athletes’ shoulders, and as our cricket and football teams continue to underperform at worldwide tournaments, the same excuses are bandied about: they buckled under the pressure,’ or ‘they couldn’t cope with the expectation of a nation.’ These failures will not change unless our sporting system changes with it – the public has to show far more of an appreciation for sport at a school level in order for our national teams to succeed. Besides, the amount of talent which must slip through the net of our youth academies is incomprehensible. In today’s commercialised, pressured sporting world, aspiring sportsmen are lucky to get one opportunity to prove their mettle at the highest level. The technical differences between school and professional sport are so vast that it’s unrealistic to expect our young athletes to cope immediately, even without such high anticipation on their shoulders. And though there will always be a certain sense of expectation around talented academy sportsmen, this can be counteracted by an earlier introduction to pressure. When we train for lower level sports matches, there is no message of how to deal with the physical and mental ‘pressure’ of an important moment in school matches; it’s expected that these more talented athletes will be able to cope automatically. What if this is a myth? What if we only see ‘talent’ because they can deal with sport’s stresses more easily? It always strikes me that we don’t help ourselves in this country with our sporting system, and being able to deal with pressure is another example of this: one can only wonder how much talent is being put to waste through the failures of the sporting establishment. But the only way for this to be fixed, and the only way for national sporting fortunes to improve, is for the watching public to place a higher value on school sport. Though it’s unrealistic for such high expectations to be placed on our young athletes, it’s only fair that those who pay such great attention to sport on a national level also take notice of the talent coming through – after all, who doesn’t like having noticed the next big thing before anyone else?